6th graders will now be able to help look for the best deals at grocery stores. During our most recent math unit on ratios, we’ve learned about unit rates and how food companies price items at the stores. Students looked at pictures of these prices this week to compare them and find the better bargain. This entry was posted in Uncategorized on October 2, 2018 by emiranda0731. In science, we’ve been learning about and discussing the function of organelles within their cells. We had fun looking at a comic by “Beatrice the Biologist” and used her comic art as inspiration for our own interdisciplinary science and art lesson. This entry was posted in Uncategorized on September 18, 2018 by emiranda0731. Last week students completed their first art piece in class. Every year, students work intently on recreating a Yosemite wildflower of their choosing. The pieces get submitted into an annual at contest at the Yosemite’s Ansel Adams Gallery. We’ve been up to our ears in projects in Room 5! I believe our latest project was the most engaging. It brought on creativity, engineering with geometry, and so much teamwork! 5th and 6th graders spent the last two and a half weeks planning, building, and testing out their very own marble run roller coasters. Not a day went by without several students begging me to give them extra time to work on these projects. One of the most important parts of this project was fostering and discussing leadership skills. After about a week of working on this project, we had an important class meeting all about the qualities good leaders possess. Members from each group talked about the leadership they saw forming in each group. It turns out that some of our most shy and reserved students have way more leadership skills than they thought! 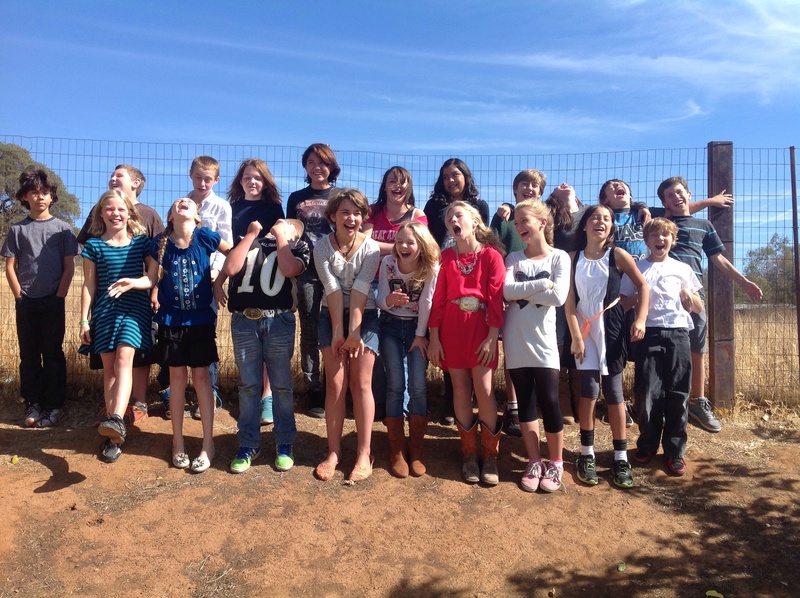 These students were elated to hear that their group members saw them as natural leaders. Overall, we discussed that leaders have good ideas, are able to delegate tasks in a kind way, make sure everyone feels like they are an important part of the group, and make good use of their time. By the end of the project, groups were able to start testing out their marble runs. That’s when Room 5 got especially noisy with cheers and the competitive nature of some students really came out. On the night of Open House last week, families and students voted for the strength of each rollercoaster. The next day, we had our official “Roller Coaster Challenge” Day where we timed and tested roller coasters and groups received awards. It was another day filled with cheer and excitement. This entry was posted in Uncategorized on June 3, 2018 by emiranda0731. The ancient Egyptian mummification process is a lengthy one! It typically lasted around 70 days and began by first removing all of the organs from the body. The organs were then washed, dried, and placed into containers called canopic jars that were eventually buried with the body. A salt mixture found along the Nile River was used to help the drying and preservation process of both the body and the organs. After, the bodies were wrapped in linen and placed in their coffin. In Room 5 this month, we didn’t do all that, but we did complete a project which taught us all about this process. After collecting all the Pringles cans we needed, 5th and 6th graders got to work adding paper mache, paint, hieroglyphics, and one of the four Sons of Horus heads on each can. We then did a simple science experiment to see which ingredient preserved apples (our “organs”) the best: baking soda, vinegar, or salt. Earlier this month, we also had fun with an art project. After learning all about the jobs and roles of Ancient Egyptians, students traced over images showing the specific jobs they learned about. We used thick gauge foil and dull pencils on a thick pad of newspaper to create beautiful relief drawings. Students then used colorful Sharpies to make designs in the background. They turned out beautiful! This entry was posted in Uncategorized on June 1, 2018 by emiranda0731. 5th and 6th grade has been working hard over the past month on a ceramics project with Mrs. Becker. Since our class loved learning Greek Myths through read aloud this year, we planned to have students create a mural for a campus beautification project. Students spent a morning after thinking of a design for their tiles that would be simple and representative of the character from a myth of their choosing. They carefully drew their design on a paper and then traced it in washable marker so that it could easily transfer to the tile. When Mrs. Becker came into class with blank slabs ready for construction, everyone was excited to work! Two weeks ago, she students spent their time adding layers of colored slip. After they were dry, they were ready for Mrs. Becker’s kiln at home! Yesterday she brought in our final pieces and everyone loved seeing the final results. We spent the afternoon reflecting about the ceramics unit and giving students praise for their tiles. This entry was posted in Uncategorized on May 18, 2018 by emiranda0731. 5th and 6th graders had a special learning opportunity last Friday at U.C. Merced. Dr. Caroline Frank along with two of her graduate students, Jackie and Paola, planned a 3-part field trip which included many engaging activities. After being treated to a morning snack at the university cafeteria, the class went on a one-hour campus tour lead by two university students. We toured the dormitories and apartments, cafeteria, gymnasium, and recreation rooms. 5th and 6th graders loved experiencing a day in a life of a college student! Later, we were were treated to a delicious lunch and enjoyed a picnic in the sunshine. A couple college students joined us for lunch and S.F.C.S. students loved chatting with them about their university experiences, such as studying abroad. Once our bellies were full of turkey sandwiches and apples, we split up into two groups. One group, led by Dr. Frank, brought us to her research lab where we stopped at nine different areas in the lab. Each location taught us something new about DNA extraction, microbial symbiosis, Dr. Frank’s specific research, and other interesting concepts. At each stop, students answered challenging trivia questions. The three winning groups received a prize. All students experienced an engaging hands-on activity in the other group. In a science experiment prepared by Jackie and Paola, students paired up with a partner to extract DNA from either a banana, strawberry, or blueberries. Not only did we learn about DNA extraction, we also learned about the importance of always questioning the world around us. A huge thank you to Dr. Frank for making this rare and exciting field trip possible! This entry was posted in Uncategorized on April 16, 2018 by emiranda0731.